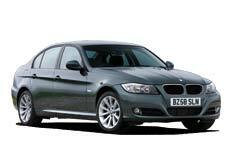 BMW 3 Series - Car Reliability Search | Reliability Index | How reliable is your car? Reliability Index 107.00 What does this mean? Average Mileage 57,299 miles What does this mean? Average Repair Costs £340.04 What does this mean? Axle & Suspension 25.45% What does this mean? Braking System 12.73% What does this mean? Cooling & heating system 4.55% What does this mean? Electrical 28.18% What does this mean? Engine 18.18% What does this mean? Fuel System 4.55% What does this mean? Gearbox 0.91% What does this mean? Steering System 4.55% What does this mean? Transmission 0.91% What does this mean?